Israel has witnessed significant progress in its economy and capital markets in recent years. As evidence of its economic progress, Israel became a member of the OECD in 2010, placing Israel alongside the advanced economies of the world. While some economies have contracted in recent years, Israel's GDP grew by 4 per cent and 3.2 per cent in 2016 and 2017 respectively, and it is expected to have further grown in 2018. As discussed further below, the Israeli tax system is relatively advanced, and includes both direct and indirect taxes. The income tax law is governed by the Israeli Income Tax Ordinance (New Version), 5721-1961 (the Ordinance), which was significantly amended in 2003. Specifically, new provisions were added to the Israeli international tax regime to address the increased sophistication of the Israeli economy with respect to both inbound and outbound investments. The most common entity for operating a trade or business in Israel is the company limited by shares, which may be private or public. The shares of a public company are listed on a stock exchange or offered to the public pursuant to a prospectus. A private company is any company other than a public company. In general, the Israeli corporate tax regime involves two-tier taxation: first, at the company level; and second, upon dividend distribution, at the shareholder level. Dividend income is subject to income tax at lower rates than ordinary income. A partnership is a pass-through entity that is not subject to tax. While only the partners of the partnership are subject to tax in respect of its income, the taxable income is determined at partnership level. Partnerships are widely used in the case of private equity firms and hedge funds. In a general partnership each partner is liable for all the liabilities of the partnership. In a limited partnership, the limited partners are liable only to the extent of their contribution to the partnership. A limited partnership must have a general partner, who has unlimited liability; only the general partner is allowed to participate in the management of the limited partnership. Israeli companies are taxed in Israel on their worldwide income. Foreign (i.e., non-Israeli) companies are subject to tax in Israel only with respect to their Israeli-sourced income. The tax base for the Israeli corporate tax is the company's net income as determined under Israeli accounting principles and adjusted in accordance with the provisions of the Ordinance and regulations. As a general rule, Israeli companies must report their income for accounting and tax purposes according to the accrual method of accounting. Corporate tax is generally assessed for the calendar year. Expenses are deductible only if they are incurred in the production of taxable income. Expenses that were not incurred in the production of income, such as private expenses, are not allowed as a deduction. In most cases, the assets of a business are depreciated for tax purposes pursuant to the straight-line method of depreciation. The annual depreciation amount is calculated based on a percentage of the cost of the asset, depending on the type of asset. Subject to the aforementioned general rule, depreciation deductions are allowed only with respect to assets used in the production of income. accounting income that derives under the grouping rules being eliminated for the purpose of the tax return. Special rules apply in the case of the recognition of capital gains and losses by Israeli companies. These rules are set out in Part E of the Ordinance. The corporate tax rate is equal to the tax rate imposed on real capital gains derived by a company. As of 2018, this tax rate is 23 per cent. Capital gains and losses arising from real estate transactions located in Israel (including real estate associations) are taxed in accordance with the Real Estate Taxation Law (Capital Gains and Purchase) 1963. The losses a company recognises from a trade or business may be used to offset any other income recognised by the company in the same tax year. Ordinary losses can be used against capital gains; however, capital losses are not allowed to be used against ordinary income. The losses of a company from foreign sources can only be used against foreign-sourced income, pursuant to a 'basket' system (e.g., passive loss can only be used to deduct passive income). Net operating losses of a company may be carried forward; however, they are not allowed to be carried back. There is no limitation on the carry-forward period. While net operating loss carry-forwards survive a company's change of ownership, the courts in Israel held that when the sole objective of the acquisition of the company's stock was the use of its loss carry-forwards, such losses will not be allowed to be used against income recognised by the company following the change of ownership. The courts based their decisions on the anti-avoidance provisions of Section 86 of the Ordinance, which is discussed below. The tax rate on corporate profits in Israel decreased to 23 per cent in 2018. The rate of corporate tax on profits derived from a 'preferred enterprise' may be either 7.5 or 16 per cent (depending on the location of the enterprise), and for a 'special preferred enterprise' – either 5 or 8 per cent, as further discussed below. Income derived from a 'preferred technological enterprise' will be subject to a tax rate of 7.5 per cent or 12 per cent (depending on the location of the enterprise), and a 'special preferred technological enterprise' will be subject to tax rate of 6 per cent (regardless of its location). Israel has a single tax authority that is responsible for collecting both the direct and indirect taxes. A municipal tax is imposed on real property by local authorities. Corporate tax is generally assessed for the calendar year; however, the greater part of the tax is paid during the tax year through estimated advance payments. The final tax payment is made, together with the filing of the annual tax return, by 31 May following the end of the tax year. It is possible, in certain circumstances, to obtain an extension for the filing and payment deadline. Within four years, and in certain circumstances five years, from the year in which a return was filed, the assessing officer may audit the company's tax return. The assessment of the officer may be appealed to another officer within the same local office. The decision of the second officer is subject to appeal to the district court. The decision of the district court may then be appealed to the Supreme Court. Consolidated tax returns are not allowed under Israeli law; an exception applies, however, in the case of an Israeli-resident 'industrial' company or a company that is a holding company of industrial companies. An industrial company is a company that receives at least 90 per cent of its revenues from an industrial facility engaged in manufacturing activities. An industrial company, or an industrial holding company, may file a single consolidated tax return in respect of itself and its subsidiaries, which are by themselves industrial companies, provided that all the industrial companies included in the consolidated group are part of a single assembly line or manufacturing process. An industrial holding company that has subsidiaries engaged in different assembly lines is entitled to consolidate its return only with the company or companies having a single assembly line in which it has the largest capital investment. Israel has a value added tax (VAT) charged on transactions in Israel and on the importation of goods into Israel, the standard rate of which is currently 17 per cent (as from 1 October 2015). A transaction that is a sale of goods is deemed to take place in Israel if, in the case of a tangible asset, it was delivered in Israel or exported, and if, in the case of intangible assets, the seller is an Israeli resident. Certain transactions are subject to a zero-rate tax (principally exports of goods and services) or exempt (such as certain financial services and certain real estate transactions). Financial institutions are subject to a profit tax and a tax on paid salaries (salary tax), both at a rate of 17 per cent, subject to certain adjustments. Businesses are entitled to recover input VAT costs in connection with goods or services used by the business to create their taxable (including a zero-rated) supply. Israel imposes customs duties on certain imported goods and sales tax on certain imported and domestic goods. Israel also imposes various duties, such as trade levies and dumping levies, pursuant to the Trade Levy Law. Israel also imposes an additional 3 per cent 'wealth tax' on taxable income and gains in excess of 640,000 new Israeli shekels (adjusted yearly for inflation, 641,880 new Israeli shekels as of 2018). The taxable profits of a local branch of a foreign company are generally calculated by reference to the income and deductions attributable to the branch under the assumption it operates as an independent business unit and in accordance with transfer pricing rules. The Ordinance, however, does not include specific rules regarding the taxation of a branch or the allocation of income and expenses to a branch in Israel. In addition, there is no branch profits tax in Israel. In some relatively rare cases, however, the profits of a non-resident company that qualifies as a foreign investment company, derived from its Israeli enterprise may be subject to a 15 per cent tax rate in addition to the corporate tax that applies to such profits. The 15 per cent tax may be deferred if it is demonstrated that such profits remain in Israel and are used for the purpose of the company's business in Israel. In any event, this 15 per cent tax is relevant only to certain enterprises that were already in existence prior to 2011. It should be noted that the ITA has recently published a circular regarding the taxation of non-Israeli corporations' activities in Israel through the internet. Under this circular, the ITA expresses its opinion that certain activities made through the internet may be sufficient to give rise to a permanent establishment in Israel, both for corporate tax and VAT purposes. the IHC is not subject to the Israeli-controlled foreign corporation regime. To qualify as an IHC, inter alia, the company must be registered, and managed and controlled in Israel. The company must be a private company and invest at least 50 million new Israeli shekels in its subsidiaries, which should constitute 75 per cent or more of the total investments of the holding company. At the subsidiary level, it is required that the subsidiary resides in a treaty country or in a country with at least a 15 per cent corporate tax rate. In addition, it is required that 75 per cent or more of the subsidiary's income will be derived from a trade or business. Moreover, the subsidiary may not hold more than 20 per cent of its assets in Israel or derive more than 20 per cent of its income from within Israel. The Israeli Innovation Authority (IIA) (formerly known as the Office of the Chief Scientist of the Ministry of Economy (OCS)), which operates under the Law for the Encouragement of Industrial Research and Development, 5744-1984, supports R&D projects of Israeli companies by way of financial support. The extent of the IIA funding depends on the R&D project, the location of business, the rate of the local production and its contribution to research in Israel. In general, an IIA-funded company has to repay the IIA funding it received and the accrued interest by way of royalty payments from its sales. In addition, the know-how that is developed in connection with the IIA funding and any right therein cannot be shared with or transferred to others without the approval of the IIA and subject to the conditions set in the law, which include in some cases payments to the IIA. Various investment incentives are outlined in the Law for the Encouragement of Capital Investment 5719-1959, which was materially amended and simplified in 2011 (Encouragement Law) and further amended in 2017. As of January 2011, the incentives under the Encouragement Law are directed towards corporations deemed 'preferred companies'. A 'preferred company' is entitled to a reduced corporate tax rate with respect to its 'preferred income' generated by its 'preferred enterprise'. The tax rates for preferred enterprises, depending upon where they are located, have been 9 or 16 per cent since 2014 and have been reduced to 7.5 or 16 per cent as of 2017. More significant reductions in the corporate tax rate apply to companies that have a 'special preferred enterprise' the profits of which are subject to corporate tax rate of 5 or 8 per cent. It should be noted that under certain conditions, a 'preferred enterprise' may also be entitled to a grant in an amount of up to 20 per cent of the investment in tangible fixed assets. In addition, reduced tax rates of 7.5 per cent or 12 per cent, may be available for preferred technological enterprises, and a tax rate of 6 per cent for a special preferred technological enterprise. 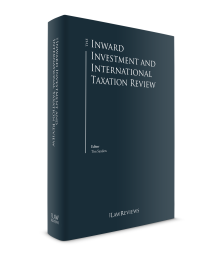 It should be noted that a preferred technological enterprise may be entitled to a reduced capital gains tax in the case of a sale of an intangible asset that it has imported into Israel. In addition, it should be noted that as of 2017, the calculation of the income to which the preferred enterprises have benefited may trigger certain issues, owing to a 'nexus mechanism' that was introduced in the 2017 amendment, in order to ensure that the Israeli regime that provides state aid is consistent with the international rules regarding such regimes. 25 per cent or more of its total income in a given tax year derives from sales in a particular market to at least 14 million residents (this increases on 1 January of each tax year by 1.4 per cent in relation to the number of residents as compared to the previous year). 'Special preferred enterprises' are enterprises that have preferred yearly incomes of at least 1.5 billion new Israeli shekels and belong to companies with preferred yearly incomes of at least 20 billion shekels. To obtain such status, an enterprise's business plan must include either certain minimum investment levels in production assets, R&D investment or the employment of a minimum number of workers – all based on the location of the enterprise. the company employed, on an average basis, 25 per cent more employees in the preceding three years (this only applies where the enterprise employs at least 50 employees in the tax year and the three preceding years). Alternatively, an enterprise may be entitled to a preferred technological enterprise status based on an approval from the IIA. A 'special preferred technological enterprise' is an enterprise that meets the conditions mentioned above with respect to preferred technological enterprise and is a member of a group of companies that has an income which in aggregate exceeds 10 billion new Israeli shekels or more. Capital gains recognised by a foreign resident on the sale of securities that are publicly traded in Israel are exempt from tax in Israel, provided that the capital gains are not attributable to a permanent Israeli establishment. However, this exemption does not apply to capital gains derived from the sale of short-term government bonds with a maturity of up to 13 months and to future transactions, the underlying assets of which are directly or indirectly short-term government bonds. In addition, a foreign resident who acquired the stock of an Israeli company after 1 January 2009 will often be exempt from tax in Israel on the sale of the stock. As of 1 January 2012, dividend distributions paid by an Israeli resident company to a non-resident individual are generally subject to withholding tax at a rate of 25 per cent (30 per cent in the case of a payment to a person who owns 10 per cent or more of the company's stock – a 'substantive shareholder'). Dividend distributions to foreign corporations are subject to withholding tax of 30 per cent if the foreign corporation is a substantial shareholder of the Israeli-resident company (which holds more than 10 per cent) and 25 per cent if it is not such a substantial shareholder. As a general rule, interest paid by a local company to a non-resident is generally subject to withholding tax at a rate of 25 per cent or 50 per cent in the case of a payment to a person who owns 10 per cent or more of the company's stock. Royalties paid by an Israeli company to a non-resident are subject to withholding tax at a rate of 25 per cent. In the case of a dividend by a preferred enterprise, a reduced rate of withholding tax of 20 per cent applies. Lower rates may apply in the case of a special preferred enterprise, preferred technological enterprise or a special preferred technological enterprise, under certain conditions set under the Encouragement Law. As noted above, the 'participation exemption' applies in the case of dividend distributions to an IHC. However, dividend distributions from the IHC to its foreign shareholders are subject to reduced withholding rates of 5 per cent. Interest may also be exempt from withholding tax in certain circumstances. For example, interest income paid to a foreign resident with respect to publicly traded bonds of a company that is listed in Israel is tax-exempt in Israel as long as the foreign resident owns less than 10 per cent of the stock of the Israeli company, is not related to the Israeli company, and no special relationship exists between the foreign resident and the Israeli company. In addition, interest received by a foreign resident with respect to publicly traded bonds that were issued by the government will usually be exempt from tax in Israel to the extent that they are not repayable within 13 months of the date that they are issued. As of 2018, there are approximately 50 DTTs to which Israel is a party and that are in force in Israel. Israel's DTTs generally follow the OECD model with the exception of a number of treaties (with the United Kingdom, Norway and Sweden) that were signed in the 1960s and the 1970s, before the OECD model was widely accepted. In 2017, new treaties with Germany and Canada came into force. In 2018, a new treaty with Azerbaijan was ratified and came into force as of 1 January 2018, and a new treaty with Austria was also ratified and came into force on 1 January 2019. A new treaty with Macedonia has been signed but has not yet been ratified. Direct credit, where the Israeli company may claim credits with respect to foreign withholding tax paid on the dividend distribution. In this case, the dividend distribution will be subject to a 23 per cent tax rate in Israel. Indirect credit, where the Israeli company may claim credits with respect to both allocable share of the foreign taxes paid by the distributing company on its foreign source income and the foreign withholding tax paid on the dividend distribution. In this case, the dividend distribution will be subject to the regular corporate tax rate in Israel (which is also 23 per cent). While there were no further significant amendments regarding the taxation of trusts during 2018, it should be noted that on 1 January 2014, the law significantly changed the regime for the taxation of trusts in Israel. The main change was the cancellation of the 'foreign settlor trust' regime. Under previous legislation, trusts that were settled by foreign residents were generally tax-exempt in Israel, even after the settlor's demise. Furthermore, distributions to Israeli-resident beneficiaries were exempt from tax. As of 1 January 2014, these trusts are tax-exempt in Israel only to the extent that all their beneficiaries are foreign residents. If a trust that was settled by foreign residents who is still alive has Israeli beneficiaries, then the trust will be subject to tax in Israel on distributions either at a rate of 30 per cent, or at a rate of 25 per cent on its current income allocated to Israeli beneficiaries, if an irrevocable election is made, provided that the settlor is still alive and is a relative of all the beneficiaries. If either of these criteria is not met, then the trust will be subject to tax on its entire worldwide income at the applicable rates. There are no thin capitalisation rules under Israeli domestic tax rules. Subject to the general rule regarding the deduction of expenses, interest expenses will be allowed as a deduction only if they are paid with respect to capital that is being used in the production of income. Recent Supreme Court verdicts have further ratified this position. A company may make dividend distributions only if it meets the following two requirements. First, the company is allowed to distribute only out of its retained earnings and profits. Second, there must be no reasonable risk that the dividend distribution will cause the company to be in a position where it is unable to pay its debts (outstanding and foreseeable) as they become due. The distribution in this case is not allowed unless a court approved the distribution. As noted above, a company is not allowed to make a distribution to its shareholders unless it has retained earnings and profits, or if a court has approved the distribution. In such a case, according to the ITA's position the return of capital may be regarded as a dividend to the shareholders. In most cases, it is advisable that a foreign person hold the stock of an Israeli company, particularly when the stock of the Israeli company is intended to be sold. As noted above, capital gain on the sale of the stock of an Israeli company by a foreign resident is exempt from tax in Israel if the stock was acquired after 1 January 2009. It is advisable to use an Israeli company as the acquisition vehicle if it is intended that the target company will make substantial dividend distributions following the acquisition, because dividend distribution between two Israeli companies are not generally subject to tax in Israel. a right to benefit from real property situated in Israel. The last of the above exceptions follows an amendment to the Ordinance that took effect on 1 August 2013. Prior to the amendment, the exception applied only if the assets were real property (or rights in a real property association) as narrowly defined under Israeli law. The term 'primary value' is not explicitly defined in the Ordinance, but should be interpreted as 50 per cent or more of the assets of the company whose shares are being sold. any recurring or renewable right stemming from the use of land. As a result of the limitations on the deduction of interest expense, the acquiring group would only recognise limited Israeli tax benefits by funding the acquisition with debt. In this regard, generally, debt drop-down should generally be treated as a dividend distribution for Israeli tax purposes. Because only a limited number of transactions would qualify as a tax-free reorganisation, as discussed below, very often cash presents the principal consideration in the transaction. Generally, the selling shareholders should be subject to tax with respect to deferred consideration only upon receipt of such consideration. the reorganisation plan has to receive the prior consent of the tax authorities. In this regard, the prior approval of the tax authorities is required if the parties to the reorganisation include foreign companies. The reform sets out some reliefs from the need to obtain a pre-ruling application, such that certain forms of reorganisation, which previously required a pre-ruling application (which could be an extended process), now merely require providing a notice to the ITA within 30 days of the reorganisation (e.g., a share-for-share exchange). the amendment also expands the applicable tax benefits with regard to the transfer of an asset by partners in a partnership or by a partnership to an existing company. The Ordinance imposes an exit tax on individuals and companies that have ceased to be Israeli residents. The assets of a company that ceased to be an Israeli resident are deemed sold one day prior to its cessation of residency. The company may defer the gain recognition until the actual sale of the assets. Section 86 of the Ordinance is a general anti-avoidance provision that permits a tax-assessing officer to disregard a transaction that is artificial or fictitious, or one whose principal objectives is an improper avoidance or reduction of tax. In addition, even in the absence of express statutory provisions, the 'substance over form' doctrine is a generally accepted principle of Israeli case law. Regulations have also been made under the Ordinance that imposes a disclosure requirement with respect to certain defined categories of transactions. In general, a controlling shareholder of a CFC that has undistributed profits must include in its income its allocable share of such profits. For this purpose, a controlling shareholder is a shareholder of the CFC that owns a 10 per cent or greater interest in the CFC. Certain ownership attribution rules will apply in determining a shareholder's interest in the foreign company. the foreign company is controlled by Israeli residents. an Israeli resident has veto power over substantive decisions of the company. The controlling shareholder's allocable share of the CFC's passive income is treated as a dividend distribution by the CFC to the controlling shareholder. Only foreign taxes that have been imposed in the case of an actual dividend distribution by the CFC can be claimed as a credit by the controlling shareholder against its Israeli tax liability. A number of other changes to the CFC regime in Israel came into effect in 2014.
a comparison between profit and loss allocation between the parties under the transaction in question and a similar transaction. If neither of the above methods can be used, the taxpayer is permitted to use any other suitable method of comparison. The regulations do not specifically require the taxpayer to prepare an annual transfer pricing study; however, the tax-assessing officer has the authority to demand a transfer pricing study at any time within 60 days. In addition, the taxpayer is required to describe the terms of any international transaction with a party with whom it has a special relationship (price, conditions, and the price and conditions of an arm's-length transaction) in its annual tax return to be set out in a special annex to the tax return. Generally, a taxpayer may obtain a pre-ruling from the tax authorities before it files its tax return. In the context of the transfer pricing rules, a taxpayer may apply for an advanced pricing agreement, which is similar to the tax procedure applicable in the US. 2017 was a year of highly important reforms to the Israeli tax law, giving rise to significant legislative changes, as well as new case law during the year, affecting many private clients and companies. The substantive issues that occurred over 2017 are as summarised in this section. There have not been as many significant material reforms in 2018. Notwithstanding the above, a reform was made in the taxation of Israeli real estate companies that have elected to be regarded as disregarded entities for Israeli tax purposes, and the Israeli Tax Authority published several circulars in 2018, providing its position with respect to certain tax issues, such as the taxation of repurchase of shares, the taxation of activity involving cryptocurrency, the taxation of shares-based compensation and more. an employer–employee relationship of the individual with another person (unless the individual is also a substantial shareholder or a partner of the other person). For this purpose, where 70 per cent or more of the company's total revenues derive from the activity of the individual for one person, for a period of at least 30 months during a period of four years, the individual's activity will be regarded as constituting employer–employee relationship. According to the new legislation, a withdrawal of more than 100,000 new Israeli shekels from a company, including by way of a loan (if such a loan was not repaid by during the tax year in which it was extended or in the succeeding year) or by way of providing security for a loan, and the constant use of company's assets, by a substantial individual shareholder, shall be regarded as an income of such an individual shareholder. Where the company has 'accumulated profits' as defined under the Israeli Companies Law, this income of the individual shareholder shall be deemed to be a dividend income. Where the company does not have 'accumulated profits' and employer-employee relationship exists between the individual and the company, this income shall be deemed to be an employment income of the individual shareholder. Otherwise, the income shall be regarded as income from business or occupation. As part of the Budget Law, the Knesset has passed a law whereby as of 1 January 2017 an additional annual tax will be imposed on owners of residential properties who own three properties or more. This new tax should apply for each residential property beginning with the third property. The imposed tax is 1 per cent of the value of the cheapest properties (i.e., it will not include the value of the two more expensive properties), and will not exceed 1,500 new Israeli shekels per month per property. However, on 6 August 2017, the High Court of Justice ruled that a procedural flaw had occured in the process of approving this part of the Budget Law and that accordingly this part of the law is not in force. Currently, this new taxation does not apply; however, the Minister of Finance announced that he will submit the bill for implementing this taxation for a new approval by the Knesset. Having said that, the bill has not been introduced yet and it is not expected to be introduced soon. As part of the Budget Law, the Law for the Encouragement of Capital Investments 1959 has been amended. One of the main amendments was the addition of a new category for benefits for high-tech companies that develop intellectual property in Israel – 'preferred technological enterprise', in accordance with the OECD guidelines in the BEPS report. See Section V.iii for more details. After the large reforms that were presented in 2017, 2018 has been a relatively quiet year. As discussed above, 2017 was a year of dramatic legislative changes in Israeli tax law, including a reduction of the corporate tax rate, commencing in 2017, to 24 per cent, and from 2018 to 23 per cent; and changes to individual tax brackets that increased the lower tax rates and reduced the rate to 47 per cent for the higher tax rates. Wealth tax was increased to 3 per cent and is imposed on any income that exceeds 640,000 new Israeli shekels. In addition, the taxable income of a closely held corporation that results from the activity of its individual shareholders, will be considered as the individual's personal earned income, and in certain cases, the withdrawal of cash from the company, including by way of a loan or by way of providing security for a loan, and the constant use of company's assets by a substantial individual shareholder, will be regarded as income of the individual shareholder. Other changes impose preferential tax rates on foreign IP-based high-tech and large multinational companies in order to encourage investment in the Israeli economy. Beside the above legislative changes, which were included in the Budget Law, new amendments in the Israeli tax-free reorganisation law were enacted, resulting in the increased availability of tax-free corporate reorganisations. After several years in which the tax yield was quite high, inter alia, owing to one-time income sources such as the Voluntary Disclosure Process and significant transactions, it is questionable whether the 2018 tax yield, and even more so the 2019 tax yield, will be as significant and will meet the needs of the Israeli government. In addition, the general elections for the Israeli parliament are expected to take place in 2019, which may influence both government expenditure and its willingness and ability to complete significant tax reforms. Lastly, the director of the Israeli Tax Authority for the last five years has recently retired from his position and was replaced by a new director. It is hard to anticipate how the above situation will affect the Israeli tax regime and the Israeli Tax Authority's attitudes to taxpayers in 2019. 1 Meir Linzen is the managing partner and head of the tax department of Herzog Fox & Neeman. 2 CA 3102/12 Niago v. Kefar Sava Assessing Officer, Missim 26/1 (February 2012) E-12. Additional Israeli case law deals with this issue. See, for example, CA 805/14 Yanko Weiss Holdings v. Holon Assessing Officer, Missim Online (October 2015), which overturns the District Court, but does not seem to argue with the Control and Management question. See also ITA 32172-05-13 Shai Tsamorot Company v. Petah Tikvah VAT Commissioner, Nevo (November 2015).